Perhaps the first thing one might notice upon entering our main chapel is the presence of a very large, ornate grand piano. 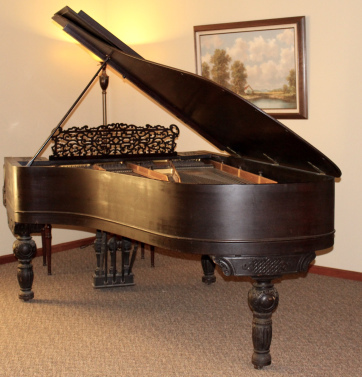 Music is a lifelong love of owner Greg D. Mullinax, and everywhere you look throughout the funeral home, there is evidence of this. 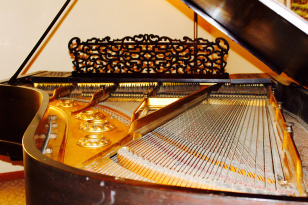 The 1893 Knabe concert grand piano is 7 feet long, made from solid hand-carved mahogany. It was discovered in Bates County, Missouri and was restored in 2015. Its deep and rich tone provides music at visitations and funeral services, as well as some community music events held in our chapel throughout the year.